I found TemplateToaster While browsing internet in search of WordPress theme design software. I get to know a couple of frameworks as well, which are technically different from theme generators. The TemplateToaster is actually a theme generator. The frameworks allow to modify their design in order to get the preferred look for the user’s website. That derived look is called the child theme. Whereas, TemplateToaster being a theme generator lets make a theme from scratch, that is user can design a complete new look by itself without the assistance of professional developers. Why do I find it the best? • It supports Bootstrap 3 for designing. • It provides extensive designing options. • I can Bookmark particular parts of the theme to import that same style to my new themes to be made. • I can download it on my personal computer and my designs stay private. • I am fully assured that it follows HTML5 and CSS3. • Because of bootstrap3 support and HTML5, it creates absolute responsive themes for me. • It also provides me the option to take the backup of my themes. For whom it is advantageous? If I can divide people in three types- Individuals, designer and developers, then TemplateToaster can serve these three classes in different ways. Individuals- Some people take the DIY way to make themes by reading online tutorials. This software will be utmost helpful to them. Designers- Generally, designers don’t know about the PHP programming language which is required to make WordPress themes. This software acts as a front end coder, hence designers can create fully functional themes without the help of developers’ assistance. Developers- TemplateToaster saves developers’ time as they don’t have to write code for the basic theme structure, they will only have to write code for additional functionality. 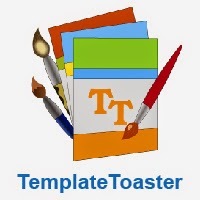 TemplateToaster provides inbuilt code editors for this purpose. I would suggest everyone out there to use this software for making WordPress themes. I have given you all mine reasons to like this software. Share your views right below in the comment section about this software if you have used it. If you have not used it yet, then give it a try, you will also like it.